The deadline to apply for the Kellogg Community College Foundation’s Gold Key Scholarship is 5 p.m. Wednesday, Feb. 15. The Gold Key Scholarship is the KCC Foundation’s most prestigious award for KCC students, totaling $9,000 per recipient distributed over two academic years. Applicants must be 2017 high school graduates entering KCC as full-time freshmen with a cumulative high school GPA of 3.5 or higher and an ACT score of 22 or higher. They must also demonstrate leadership experience, community and service activity and involvement in school activities. Gold Key Scholarship information, including the scholarship application, is available online at www.kellogg.edu/gold-key. Students interested in applying for the scholarship can also obtain an application in the KCC Foundation office on KCC’s North Avenue campus, 450 North Ave., Battle Creek, or from their high school counseling office. 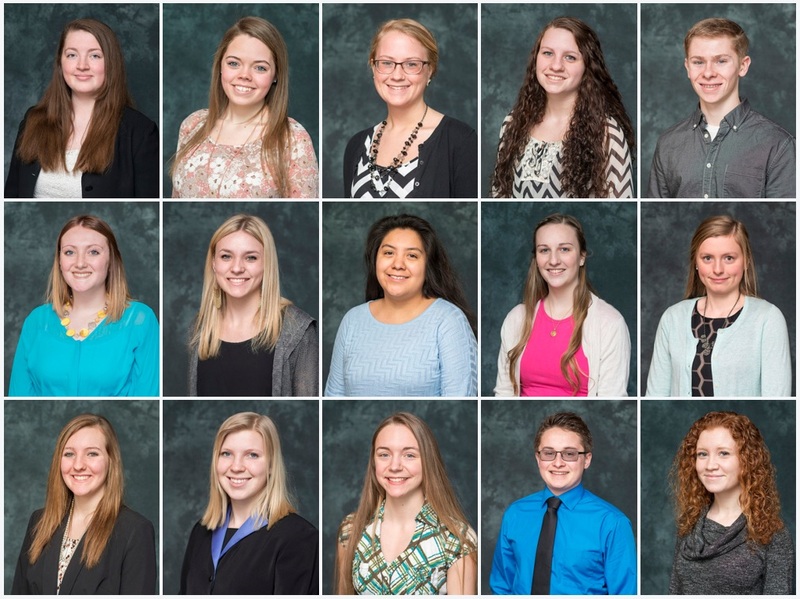 The KCC Foundation named 15 Gold Key Scholarship recipients (pictured above) in 2016. The Gold Key Scholarship is the first of several KCC Foundation scholarships with upcoming application deadlines. The KCC Trustee Scholarship application deadline is March 17, and the application deadline for general KCC Foundation Scholarships and the KCC Foundation’s three transfer scholarships is March 24. Scholarship applications, specific recipient criteria and application guidelines for each scholarship are available online at www.kellogg.edu/student-scholarships. KCC Foundation 2017-18 scholarship booklets including all KCC Foundation scholarship information and applications are also available in the KCC Foundation office and in area high school counseling offices. The KCC Foundation was founded in 1998 by the College to seek private funding to assist students with various needs. A nongovernmental, nonprofit 501(c)(3) with its own funds, the KCC Foundation is managed by a volunteer board of directors.